First boat, dirty talk. – Dirty wet dog , boats and sailing. Lets talk about money……..and boats ! Unless you are stupid-rich boats are always an expensive luxury unless you actually make one your home and live aboard it. Apart from that they are a distressingly expensive hobby probably only comparable to horses and motor-racing. This is the post in the series about first boats and starter boats that i mentioned in the previous post but where i said that this aspect was so important that i would cover it in a separate post. In the last post i summarised an approach to buying a first boat that starts with a budget and then asks what we want to use that boat for and what features or qualities we want. In this post we really only look at the financial reality of buying a starter boat, getting it on the water and hopefully getting it sailing. In this post i am going to first talk about an approach i took when i had zero budget for a boat but was seriously saving towards and looking for a small boat myself. At the time it didn’t matter so much that i couldn’t afford a boat because i was surrounded by boats and the people that owned them that needed people like me to run them and sail them. My exercise over about 2 years when i stopped sailing professionally was to consider each budget point that i might reasonably get to and do a lot of research to find an ideal or best boat at that price. That kind of works generally because many series boats are usually within a close price range unless they are very run down and need lots of work or at the other end where hopefully they are in tip-top condition with lots of gear and maybe just unrealistically priced. I actually started my search at a lowly £500 just to see if it could be done, it can if you either accept the idea of sailing a cruising dinghy or pick up something small and rough or maybe just snap up an absolute bargain . Last year i nearly went to look at and maybe bid on a harbourmasters ‘seizure’ of quite a nice boat that had been abandonned by its owner and i believe went for less than £1000 with plenty of gear. Another place to start looking nowadays is of course Ebay where i have seen plenty of small viable projects at less that the thousand pounds. I often refer to a mate’s project that was to get a boat in the water for that budget and get it to the Carribbean : and he succeeded. Today i am going to set an uber-generous budget for the same exercise and immediately go looking for any decent boat that comes in under that. Five thousand pounds should get us a very nice small boat with all the gear that we need or maybe a slightly larger and more long term capable cruising boat. What we have to start thinking about though is that our budget is a ‘total’ budget ie an on the water price and not five grand for the boat and then everything else thrown in on top. Thus we need to think about a survey, insurance , maybe craning in and out, any absolutely essential kit and somewhere to moor or berth the boat for the first month. I happen to think that you need a thousand pounds or so to keep in hand for those things , if you know lots about boats you might get away without a survey although i wouldn’t recommend it and you are always going to have to pay the crane driver and the moorings manager !. So lets see what we can find at around the £4000 mark just for the boat. Ok so this jumps right in near the top of our available budget especially once we insure it, get a survey done and find a mooring but this boat has a very good pedigree…..look : i am a total and absolute boat snob and i would sail one of these !. This one even has windvane self steering which makes this a genuine solo offshore/coastal cruiser which will look after its driver. It could work even for my specifications as i have had a long keeled yacht in a mud berth although i wouldn’t like to dry it out on its side as above…for me beaching legs would be essential but that’s outside the story here. What we might have to consider is that replacing gear and sails might be expensive, i have completely re-rigged a boat at this size and its an expensive business. So, questions : is it a worthwhile boat, is it a good one of its type, does it have the gear, do we like it….could we imagine ourselves sailing it as a starter boat ?. For me each of those is a yes, i can easily imagine taking that down to South Brittanny and ok , i’m not a beginner, but that boat will look after a beginner and most instructors that i know of would be happy to jump aboard that one with the beginner and teach the basics. If i was looking for a boat at around this budget i would definitely want to go and see this one and then i would go on to the next stage which is figuring out what i would need budget-wise to get this one sailing. That should include the costs of things that i have already described but also might have to include the costs of getting to the boat for a viewing (its in an unpopular place) and anything else that pops up in the survey or in our own examination of the boat. Note….getting boats craned and moved is expensive ! In the first post of this series i said that my first boat was a bad example of a leaky Folkboat and my first boat today is a much better and more modern version of that design. Aboard Atlantic Privateer my mate Sam told me about his and his brother’s first boat which was one of these : the Achilles 24. This is a boat that kept popping up during my budget study as they appear at a couple of distinct budget points. I have seen very rough and basic ones down at the £2000 mark, heard of them lower but many come in at the £3-4000 bracket. This one is very interesting in that someone has gone down the performance route, re-rigged and re-canvassed the boat and set up it up as a very simple little cruiser-racer. I wouldn’t be at all surprised if this isn’t the best performing boat that i cover in this post. Re-rigging and re-canvassing is an expensive job even at this size and having done it the owner does kind of take a few potential problems away. This one ‘only’ has an outboard motor but there again do does my own cruising boat. This design has several different keel configurations, the one above i am fairly sure is a fin keel but there is a version which would work better for me which is a triple keel and easy to dry out. Just for reference again Roger Taylor of MingMing fame has rebuilt and re-rigged one of these and disappears off on his 7 week arctic ocean voyages in his. This one is strictly within my chosen budget of today and fits my requirements almost exactly in fact i nearly bought one as a replacement/upgrade from my own boat. This is a bilge keeled version of the excellent little Sadler 25. Now i know that our man in NZ will be grumbling about sailing sideways but in fact (for a bilge keeler) i know that these sail very well but for me would have the advantage of being able to dry out level in the kind of rivers and creeks that i like to go and hide in nowadays. I also know that this would be a slightly faster and more powerful boat than my Hunter Liberty especially upwind and the internal volume is considerably greater. The seller says that the rigging was all replaced 3 years ago, sails and engine all look clean and best of all this one comes with a trailer. 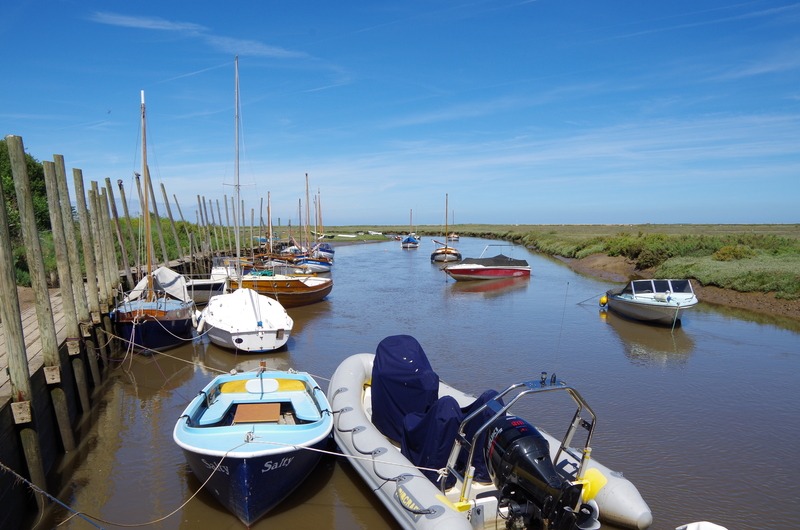 Of the 4 boats today i would look at this one first mainly because its a lot closer than the other ones but i also happen to think that its the best of the 4 as a sailing boat and its got the best engine…..more boat for the buck. It looks to me as though its a bit lean on gear : i can’t see a cooker for example but the boat is tidy enough and perhaps the best starter of the group. If you want to have a bit of fun take this basic idea and see if you can find a ‘good’ boat at a much lower budget point, lets say at either one or 2 thousand pounds for the boat and lets be generous and say we will find the extra cash to get it on the water. Next One, one and one. That Sadler is very tidy and is a bit of a bargain, especially when you consider as-advertised condition of the rig and the fact it comes on a road trailer. That Hunter 490 is more my speed though. I’d say it’s a perfect toe-dipper for people that like to be alone and don’t mind crouching — a good micro-cruiser as you say and I like that it comes with a decent-looking and quite powerful-enough-thank you outboard. Much better value than the stupid money people seem to want for even old and decrepit Wayfarers and the like. I think that’s the same one as i saw in Emsworth a few years back when we had the Liberty craned there to get it home. I also saw the original boat in St Aubyn (Met a bloke). I like them and only didn’t add them in so far because there wasn’t one around. They are like a big dinghy with a lid !